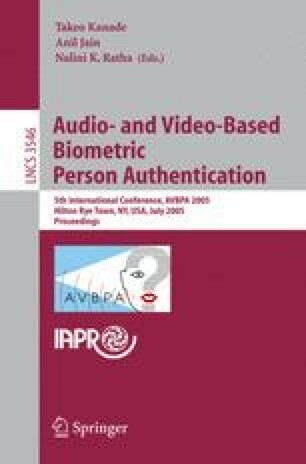 Most of the prior work in biometric literature has only emphasized on the issue of feature extraction and classification. However, the critical issue of examining the usefulness of extracted biometric features has been largely ignored. Feature evaluation/selection helps to identify and remove much of the irrelevant and redundant features. The small dimension of feature set reduces the hypothesis space, which is critical for the success of online implementation in personal recognition. This paper focuses on the issue of feature subset selection and its effectiveness in a typical bimodal biometric system. The feature level fusion has not received adequate attention in the literature and therefore the performance improvement in feature level fusion using feature subset selection is also investigated. Our experimental results demonstrate that while majority of biometric features are useful in predicting the subjects identity, only a small subset of these features are necessary in practice for building an accurate model for identification. The comparison and combination of features extracted from hand images is evaluated on the diverse classification schemes; naive Bayes (normal, estimated, multinomial), decision trees (C4.5, LMT), k-NN, SVM, and FFN.